The absolute best way to have secure passwords is to use a password manager How Password Managers Keep Your Passwords Safe How Password Managers Keep Your Passwords Safe Passwords that are hard to crack are also hard to remember. Want to be safe? You need a password manager. Here's how they work and how they keep you safe. Read More . It will generate random strings of text for your online services, and then you only need to remember one password — the one you use for the manager. But for some people, they just don’t like using a password manager for whatever reason. For those people, we’ve found a cool tip on Reddit that will help you come with passwords that are more secure than your run-of-the-mill “123456” or “Password”. Take the name of the service or website you want the password for and use its name backwards (Twitter is rettiwt, Trello is ollert, etc). Plug your numerical birthday in between each letter. If yours is April 1, 1986 and you’re using Twitter, then you’d be r4e1t1t9i8w6t. Capitalize the first letter (so you can remember that’s the one that’s uppercase) and add an exclamation point at the end. In this example, our final password here is R4e1t1t9i8w6t!. Now, you don’t actually need to remember the password itself Are You Making These 6 Password Manager Security Mistakes? 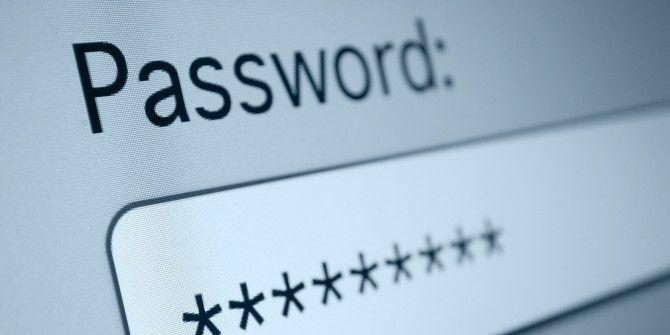 Are You Making These 6 Password Manager Security Mistakes? Password managers can only be as secure as you want them to be, and if you're making any of these six basic mistakes, you're going to end up compromising your online security. Read More , but just how you got to it. You know your birthday, and you know the site you’re using. You know you capitalized the first word and added an ! at the end. Like we said, this isn’t a perfect solution, and if someone is targeting you specifically, they may be able to crack it, but it will help protect you from mass, brute force attacks. Do you have any other cool tricks for coming up with secure passwords? Let us know in the comments! This is not secure at all. And then you explain how the password is constructed. If you need a secure passphrase use the dice method where you roll up serveral words from a dictionary, string them together and add a number. Agree. Mt. Dave LeClair, please try and come up with something better. I've always loved reading, so I'm surrounded by a lifetime accumulation of pulp and ink, and I realized a few weeks ago that it's a goldmine of password inspiration. Method 1: Pick a favorite book. Use the first letter of each word in the title. Use the copyright date. Use the author's initials. Organize those components in any order you choose. Method 2: Pick a favorite book. Write out the title, taking the first letter of the first word in every chapter and writing those letters between the title letters. Truly there are many, many ways you could use arbitrary categories of information from books, organizing that in various combinations that mean something to you. And that's the key...use information that means something to you, whether it's concerning your hobbies, the people in your life, or whatever. It's much easier to remember the details when you're interested in the subject matter. My trick: Passphrase, not password. Go to https://howsecureismypassword.com and give it a try. Dave's password example (R4e1t1t9i8w6t!) clocks in at an impressive 204 million years. But 1 2 3 4 5 6 7 8 9 (that is 1[space]two[space]three[space]...nine[space]) is 167 million. Now I need to go change some passphrases. I took the digits of my house number and pressed shift for the first two (ex:2213 lakeview Lane) would be @@13 Lakeview Lane) I also interchanged some characters with alpha but this is tricky since not all sites allow ANY characters. What I ended it with was 2213L@k3vi3w!2n3 (might be hard to remember but just as hard to crack). I like to use a favorite song. Take the first letter of the first 8 to 10 words on the song. Makes for a pretty secure password. You can always add a symbol or number yo make it even more secure.